Did you read this morning's post about this new 'Thought Thursday' series? Click here if not! I debated writing a post on this topic for a long time but I've decided to go ahead and write it. I think as an individual, I am quite an opinionated person but I often keep my opinions to myself, especially in my personal life. But this blog, my blog, is a platform for me to do just that. It's my platform. I love debating topics and I have always welcomed comments which discuss things that I have written but there is a way to go about it and while I have never gotten hate, I know that many online social media influencers and people that are now doing social media as a career do. 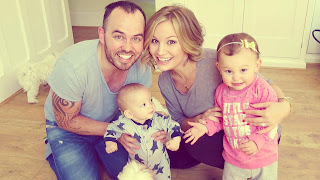 I recently watched a SACCONEJOLYs video called 'WE NEED TO TALK!' and it really struck a chord with me. I am so glad that Jonathan chose to share his side of the stories with us, his viewers and subscribers, his friendliest friends, but I'm also sad that he and Anna have had to deal with all that have been thrown their way. So many influencers have had to deal with things like this and I am sure that many of them don't share all the ins and outs of the abuse with us but another family that did were Sam and Nia. At least, they're one of the major stories that sticks out to me. When Sam did a pregnancy test for Nia, everyone was amazed and their channel viewers quickly grew in number. When it was released that they had a miscarriage just a day or two later, they received so much flack saying that they had lied and made the whole thing up. Having followed them for so long, I actually felt so guilty and I had nothing but the greatest sympathy for them. In this day and age, in this industry, I think it's important to take everything said and done at face value. I don't read forums or negative articles about any 'celebrity' and only read the gossip writings that the person themselves promote. I think if we started to look into everything anyone has ever said and thought of it as a lie, it would make the world in which we live a very difficult, sad and depressing place to be. I choose to accept things for how the person wants to show it. Just because someone shows their life to the world doesn't mean that I want every single detail to be out their. My diary is sometimes very different to my public blog posts and youtube vlogs and just as any self-employed social media influencer, a lot of it is edited. It's edited to show them in a positive way and it's edited for entertainment. Why would anyone want to show a video purely of them fighting their partner, just as I pick the best angle of selfie to post on instagram, out of probably 20+ pictures. So please remember that in the future. Don't put out that which you would not want back.